Yesterday I went up to the Waipara Valley with Roland Harrison (Director of Lincoln’s Centre for Viticulture and Oenology) and Olivia, an intern from France. Though only 5-6 km from the coast, the valley is protected from the cool easterlies that characterize the climate of the Canterbury plains by hills, keeping the valley significantly warmer than Christchurch, only 40 minutes south. 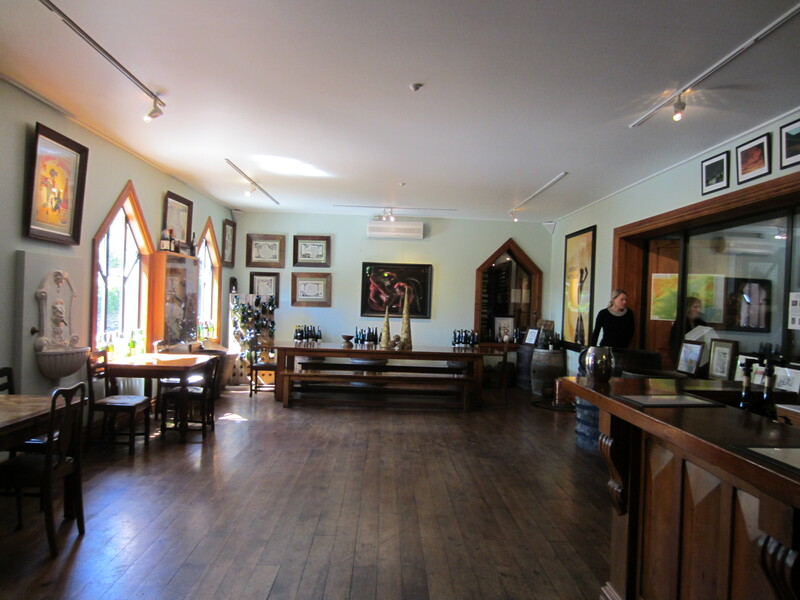 We visited Pegasus Bay, where winemaker Lynette Hudson gave us a tour and a tasting of their wines. The decor in the cellar door and restaurant suggests a nod to European influence, and sure enough this influence isevident in the wines, which display a decidedly refined style. 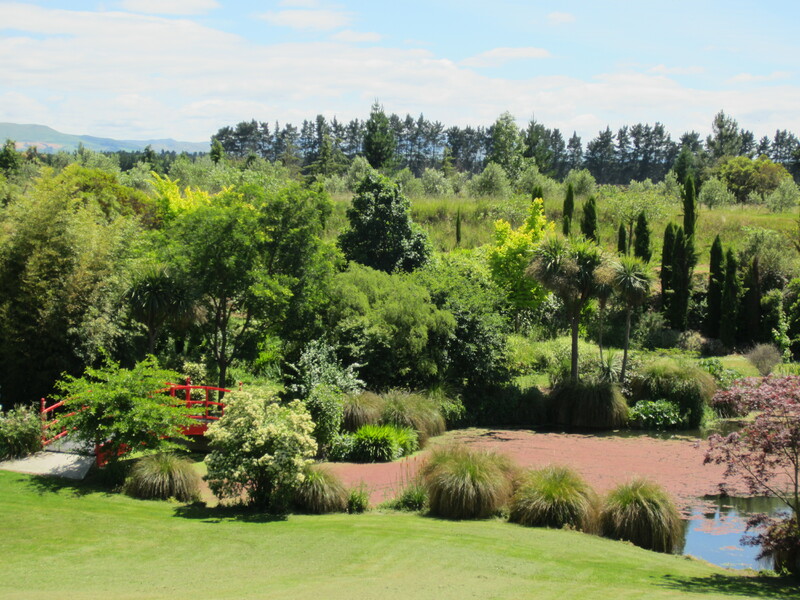 Though Waipara is not the most well-known of the wine regions in New Zealand, the industry has sunk its teeth into the area, and Riesling and Pinot Noir grapes do especially well here, and Pegasus Bay makes fine examples of each. I have not found myself to be much of a Riesling fan, but I loved the Bel Canto late harvest dry Riesling that they make, as it has a much more delicate nose than many Rieslings I’ve had, strongly characterized by orange blossom and even orange rind, but despite this delicate but poignant nose it is smooth and even a little rich in the mouth. I also particularly enjoyed their Pinot Noir, as I have found many New Zealand Pinots to be far fruitier than I’m used to (mostly having tasted Pinots from Oregon and Burgundy, which tend to display more earthy tightness – particularly those from Burgundy), but theirs struck a lovely balance between fruitiness and structure, with a good balance of tannic characteristics. 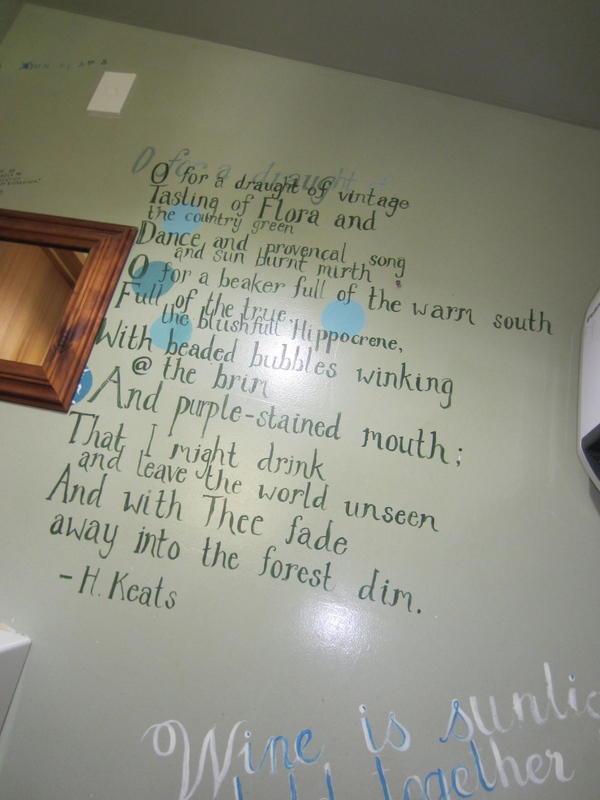 The team at Pegasus Bay has worked with Lincoln Universtiy on research projects, one of several collaborations that allow Lincoln researchers to study wine in a commercial context. This type of approach introduces a lot of complexity because of the inability to control all variables, but can provide an important perspective when approaching a variety of questions, giving useful and direct applications for the industry. At Pegasus Bay, they have incorporated findings from the trials into their winemaking practices, and also conduct their own experiments in the vineyard and winery. This type of relationship between winemaker and researcher seems to provide benefits for both sides, giving the researcher a constant stream of questions and samples, and giving the winemaker ideas of what they could be doing differently. What I found most interesting in my visit at Pegasus Bay, however, was the way in which they actually apply these results. It wasn’t just a blind acceptance of whatever the scientists told them was good, they still continue their own experimenting and make their wines in as small of batches as possible to be able to preserve any differences they have, and then utilize these differences in the blending process to best suit the particular style they are going for in individual wines and in the brand as a whole. 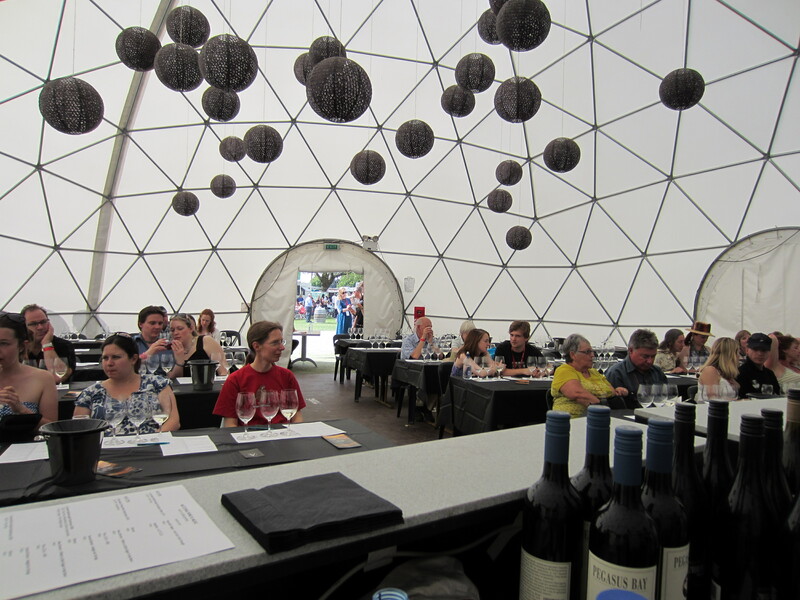 On Saturday I helped pour wine at the Wine and Food Festival in Christchurch. I was stationed in the Riedel-sponsored seminar tent (and for a wineglass nerd like me, it was quite a spectacle just to see the sheer number of glasses used for this event – and knowing their retail value this made my head spin a bit – but I do believe we went the entire day without a single broken one! 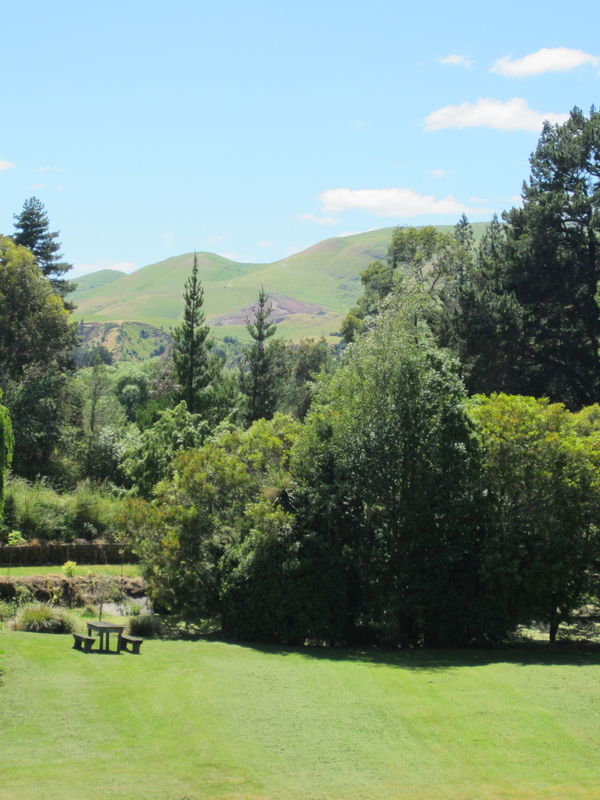 ), which played host to several New Zealand wine experts, including Bob Campbell, Jo Burzynska, Yvonne Lorkin, and Garth Gallaway. The seminars were intended to be fun and informal, with themes ranging from playing up New Zealand whites other than Sauvignon Blanc to learning how to pair wine with music (interestingly, the only time I heard scientific studies mentioned at any point in the day was in this seminar taught by Jo Burzynska – the juxtaposition of music- undisputably an art, with science in this seminar was certainly not lost on me, though in this case the science was used in an attempt to lend validity to the assertion that music can affect the taste of a wine. Honestly though, to me, trying it out for myself* was far more convincing than hearing about a tiny smattering of scientific studies on the subject). Over 50 South Island wineries were also represented at the Festival, and I had a chance to briefly meet a few of these people (including people from The Crater Rim, Pyramid Valley, Neudorf, The Third Man, Pegasus Bay, and Allan Scott) though most of my day was spent pouring wines for the seminars (this also meant that I did not have the chance to hear any of the Kiwi bands that played, but getting a bit of a behind-the-scenes look at an event like this was worth it). *Possibly an interesting experiment to try at home? The idea is basically to taste a wine in silence as well as with a few different styles of music, and see if you get different aromas/flavors/associations from the same wine in the different auditory environments. **Of the couple bottles of leftover wine that I brought home and took to a friend’s birthday BBQ the next day, the favorite actually happened to not be a New Zealand wine but a Portugese bottle called DouROSA from the winery Quinta de la Rosa in the Doura region.